Because I am not a member of Wealthy Affiliate anymore and their affiliate program is open to members only, rest assured that this review can not be biased in nature. I will not be promoting them. Since I can’t, just reviewing them. 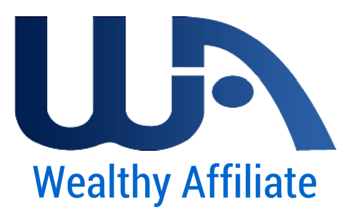 After conducting a lot of research and hearing dozens of great feedback about Wealthy Affiliate, I decided to join them about one year ago. I was just at the beginning of learning the internet marketing stuff and I was a bit confused. That’s why I looked for a step by step action plan that I could follow easily. Fortunately, I found what I was looking for and more than that at the Wealthy Affiliate University. Kyle and Carson, the founders, had explanatory articles, video tutorials, an 8-week action plan, many useful software to help you get started and speed up the process, a forum full with success stories, they even had a hosting plan included. Great start for a beginner. I stayed three months as a member at the Wealthy Affiliate University. I had to cancel my membership because of launching a new affiliate technology buyer’s guide brand called saim deals. So that I was not going to give time to wealthy affiliate for a long term. In that three months time, I learned much about internet marketing, especially affiliate marketing, those are not the same thing, you know. Using one strategy discussed on their forum, I made my first sale ever with a Clickbank product and others came after that. I never managed to complete the first week of the 8-week action plan. I don’t know what would have been if I could follow that. I am not good at sticking to plans, you see. But I am sure if I had followed that plan I would have been at a different point today. I established the core of my internet marketing knowledge in those three months. Nevertheless, as time passed I left Wealthy Affiliate and continued the journey on my own. The one thing I can say about Wealthy Affiliate is that I feel myself lucky that I met them at that time, when I was desperately looking for a step by step course. To conclude my review, I will talk about who will mostly benefit from the course and it is up to you to decide if it is for you or not. A complete beginner, e.g. just heard about internet marketing. A beginner, have some basic knowledge about this stuff but do not know which direction to go. An intermediate, but in need of a step by step action plan. An advanced internet marketer and know what you are doing. A pro that can write the book of internet marketing. Looking for a fast action blueprint that will show you some tactics to make money right away. * Note that I am not saying that you will not benefit from WA, if you fall into this group. I saw some guys who have been there for 2-3 years and they were very comfortable about what they were doing. Besides, I am considering to join them in the near future too, to catch up with the latest news and trends going on there.